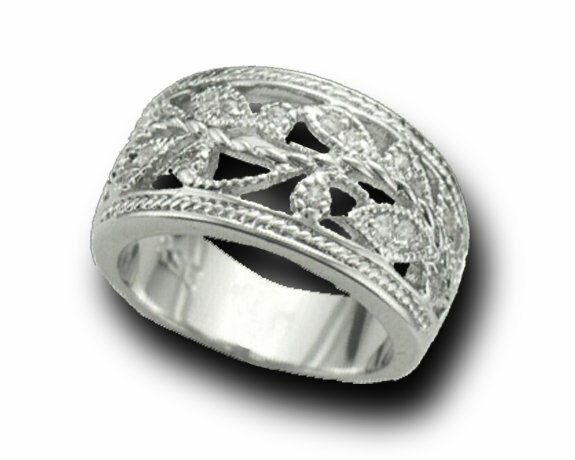 #721 White Rhodium Overlay, Cubic Zirconia, Available in size 5, 6, 7, 8, 9, or 10. Please state size when ordering. Please choose the PayPal option when checking out if you want to pay with a credit card. You don't have to have a PayPal account.